Breathe Mama offers pregnancy yoga and hypnobirthing classes, including childbirth preparation and ante natal education in Aberdeen and Aberdeenshire. 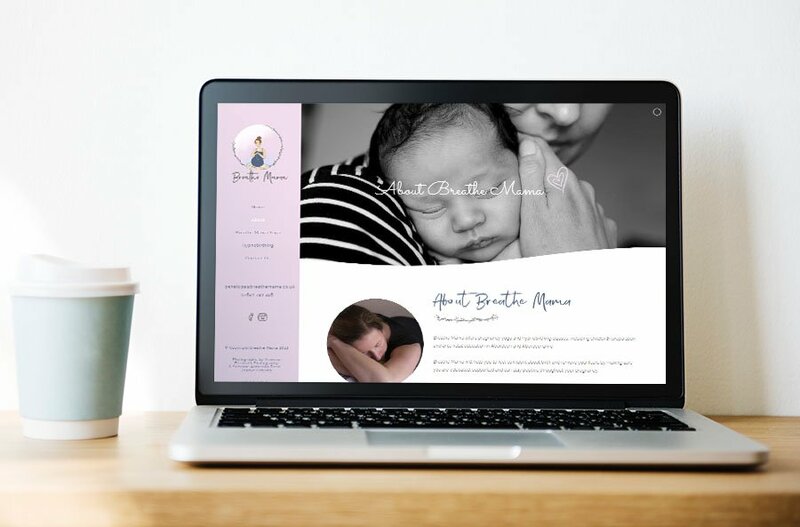 They were looking for a website that appealed prominently to women and reflected their gentle support for women during pregnancy. BlueCoo Creative produced a fluid website using curves to and utilising a side menu for easy navigation.